Screenplay: Abdel Raouf Dafri, Jean-Francois Richet. Starring: Vincent Cassel, Ludivine Sagnier, Mathieu Amalric, Samuel Le Bihan, Gerard Lanvin, Olivier Gourmet, Georges Wilson. I only wish more directors were willing to broaden the scope of their films in this way. If an audience isn’t willing to sit for too long then release it in parts. Recently, Quentin Tarantino (“Kill Bill”) and Steven Soderbergh (“Che”) done it successfully or just look at another classic French two-parter “Jean De Florette” & “Manon Des Source” by Claude Berri. Proof enough that it works. 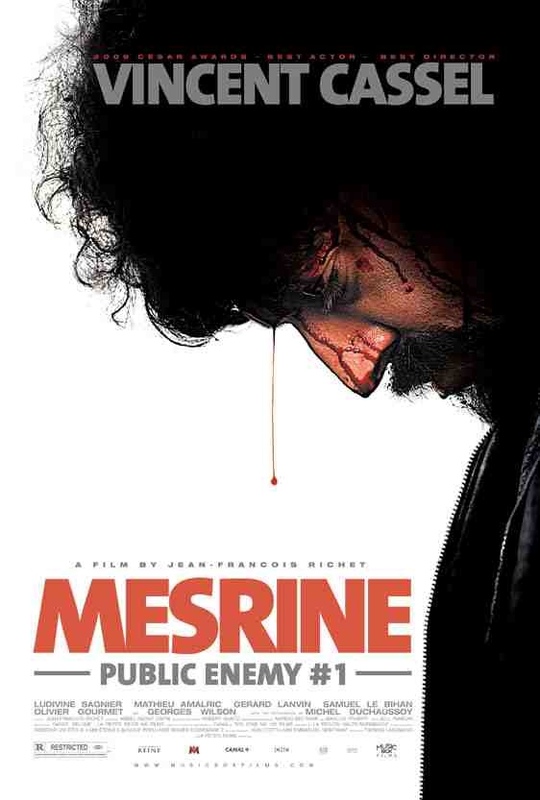 Part two “Public Enemy No: 1”, covers the later career (1974 – ’79) of French outlaw Jacques Mesrine (Cassell), covering the bank robberies which made him France’s most wanted criminal, his partnership with a fellow prison escapee (Mathieu Amalric), his relationship with free spirit Sylvie (Ludivine Sagnier) and his violent death. The testament to a good film is it being able to tell you the ending at the beginning and still manage to produce a captivating film. “Carlitos Way” was a notable other in this particular genre. It’s in the second installment that we see more of Mesrine’s ego. His growing obsession with his notoriety and his shrewd manipulation of the media to help boost his criminal-celebrity image and his belief that he was a revolutionary. He’s more confident and daring, taking more chances and applying his trade right under the noses of the law-enforcement – right down to an escape from a court room and posing as a police officer to the police themselves. 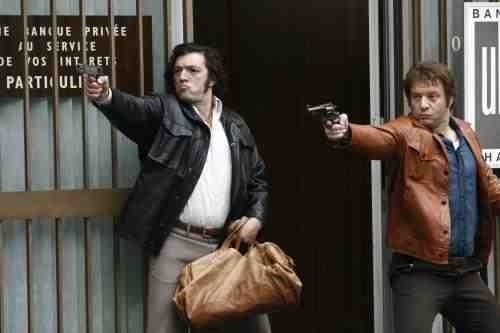 In some ways Mesrine was a confidence trickster which makes for gleeful entertainment in his sheer audacity. I see both parts of the film as one complete whole and as a result, rate them both the same in their exploration of the cultural image of a gangster and the ruthless nature required, coupled with the undeniable appeal and charisma. Over the course of 4hours you are asked to invest a little but the (many) escapades of this charismatic anti-hero keep the excitement going and the running time a pleasure. This entry was posted on January 12, 2012 at 3:13 pm and is filed under Crime, Drama, Foreign Language with tags 2008. You can follow any responses to this entry through the RSS 2.0 feed. You can leave a response, or trackback from your own site.